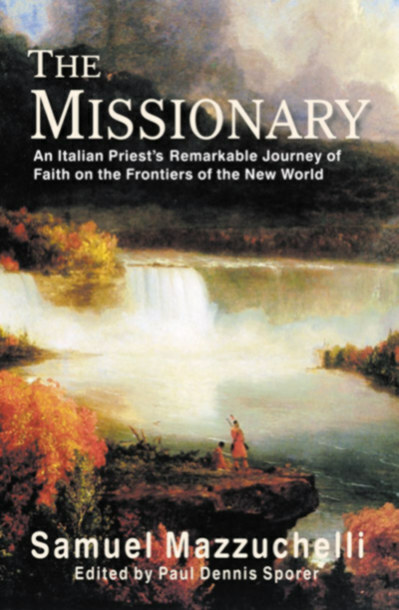 How does an idealistic young man from a wealthy Italian family transform himself into a missionary working in the rough, lawless West of Early America? How does he persevere in charity work and bringing the Gospel to men, while still maintaining his civility, dignity and composure? These intriguing questions are answered brilliantly by Samuel Mazzuchelli in his memoir, The Missionary. He was a complex individual, an unknown "Renaissance man", who combined the skills of theologian, explorer, linguist, writer, social organizer and architect. But he also had tremendous faith and conviction, an audacious courage that led him to many unique and exciting encounters. His memoir, originally published more than a century ago, is a most clearly written and engaging work that will give readers remarkable and unique details about the process of building an entire religious organization from the ground up. Mazzuchelli was a keen observer of incidents of every nature, and a faithful narrator of what he saw and heard. But larger social factors and dynamics are not overlooked. The priest also ably discusses what we today would call a "culture clash", his immersion in a very difficult environment, almost all alone to face strange customs, unknown languages, unstable affiliations, marauders, and a harsh climate. The Missionary is an invaluable source of information about the founding of a church and nation. Now only $15.95! To purchase this book from B&N, please click here. Other related titles: The New Birth, by Austin Phelps; Views of Old Europe, by Bayard Taylor, Born Three Times, by Thomas L. Johnson; From Slave Cabin to Pulpit, Peter Randolph.